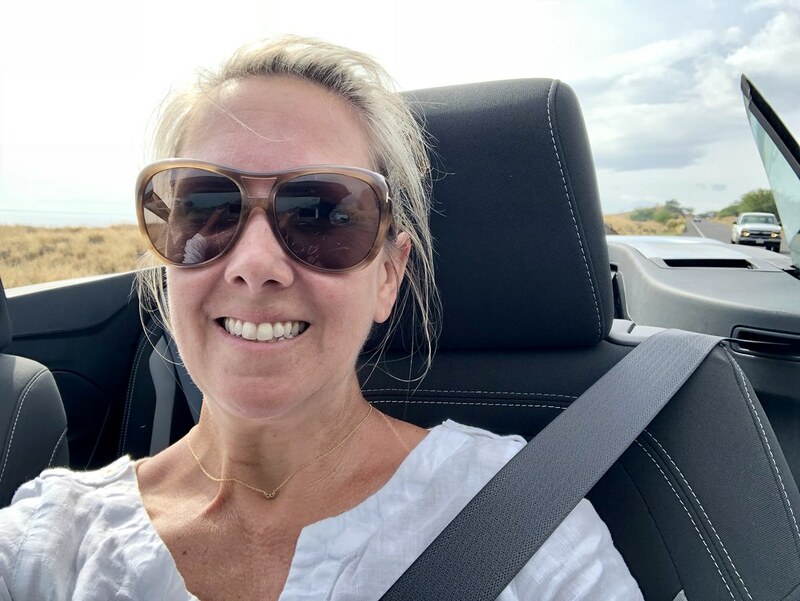 Originally my Big Island itinerary was to spend 2 nights at the Fairmont Orchid on the Kohala Coast, before doing a big drive south around the island to the Volcanoes National Park area. Here I planned to stay 2 nights so I could hike and explore the area, and see lava! I would drive back to the Fairmont and the Kohala Coast by heading north up the east coast and then over through Waimea, basically circling the entire island. And then the Kilauea volcano erupted just weeks before my trip. For years I had put off going to see the lava flowing! And now it was shooting out of the sky! But that also meant the park had to close and the area was dangerous. So as I wrote here, I decided to cancel my plans and just kick it at the lovely Fairmont and the surrounding area. 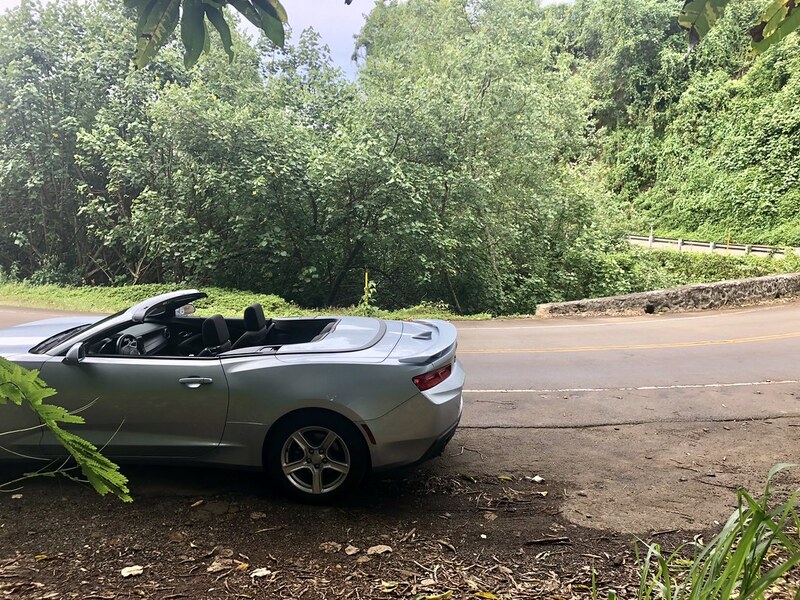 But I also really wanted to do a big drive in my rented convertible, so one day after my morning hike I decided to drive up to the north part of the island where some of my family once lived. 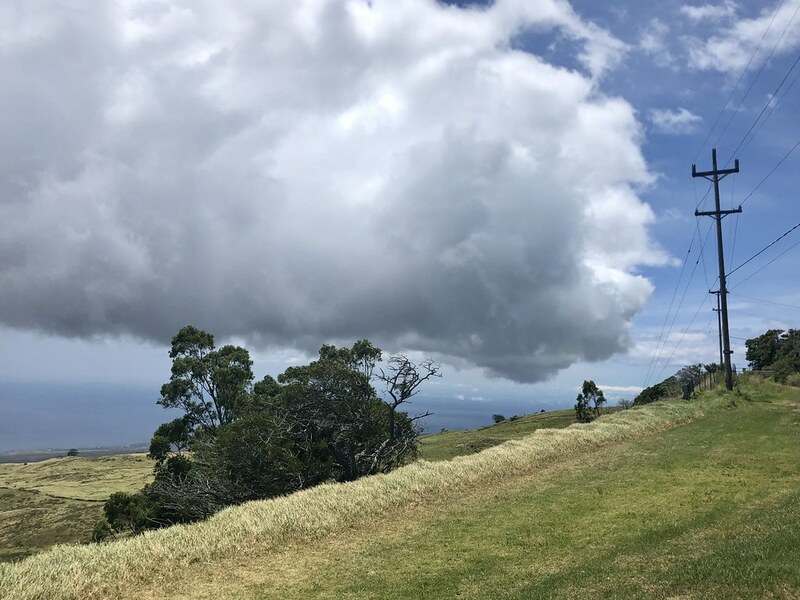 I started by driving up towards Waimea, where the hills are so lush and the sky was so blue, it was breathtaking! 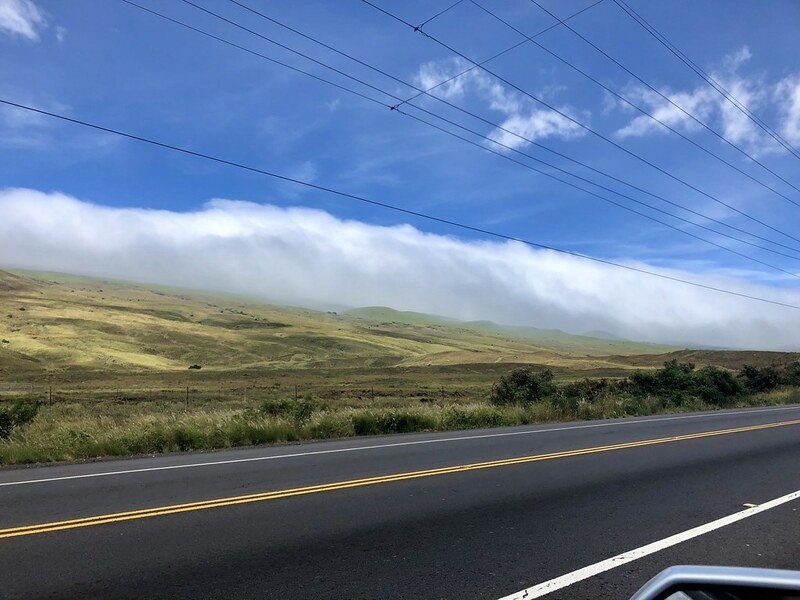 At Waimea, I turned north up the Kohala Mountain Road, which is the spine of the 1-million year old Kohala volcano, the oldest in the Hawaiian islands! I stopped to watch a crazy cloud formation off in the distance which was also unfortunately blocking my view of Maui. I was almost to the crest of 3550 feet. Once I reached the peak of the volcano the road started down towards the sea and I passed one of the large cattle ranches that the island is known for. The air was heavily scented with earth, pines, rain, and of course cows. It smelled amazing! A bit further and the weather changed dramatically! I had to pull over as I got surprised by a big rain storm. I was soaked by the time I got the convertible top up! It lasted only minutes and soon I was driving out to Keokea Beach Park. I hadn't been sure I was heading to the beach I was looking for, but as soon as I entered I knew the place. 20 years ago, my uncle Greg tragically passed away after suffering a heart attack while driving his motorcycle. I had come to his funeral, here at this park, where his friends and stepson had swum his ashes out to the sea on their surfboards. 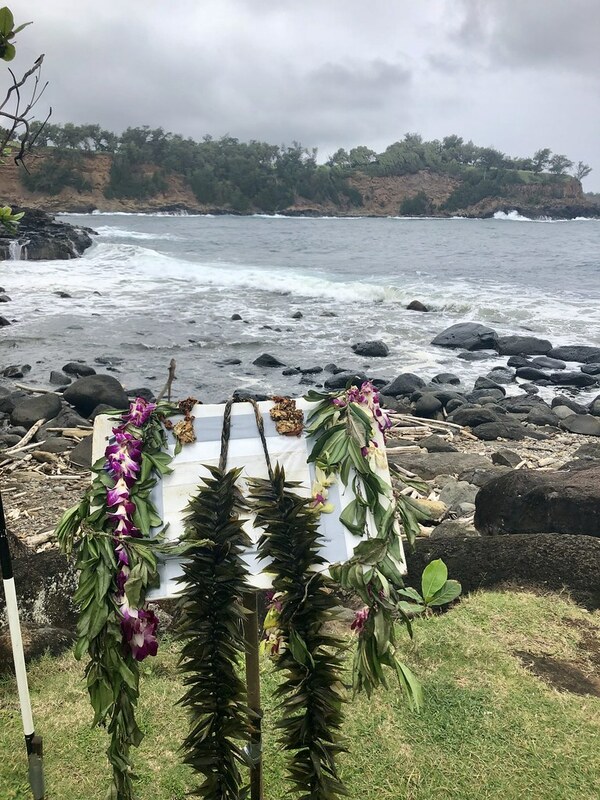 We had tossed leis into the water after them. It was a beautiful service and a beautiful location. I was so happy to be able to spend some time here thinking of Greg, and how much I still miss him after all these years. After some time I left this beautiful park and drove east to the end of the road. 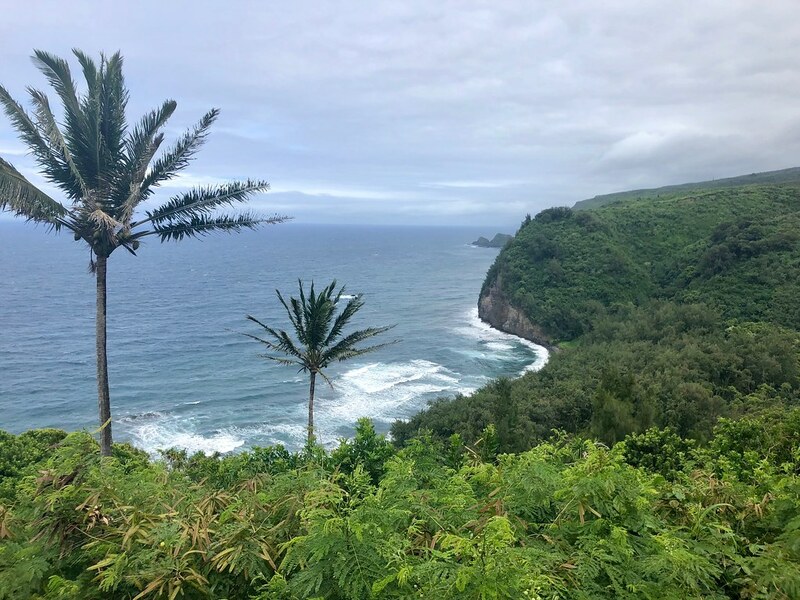 The Pololu Lookout is a stunning vista of the sheer cliffs that face off against the pummeling north surf. You can take the trail down to the beach, I didn't, or just enjoy the views, I did. Oh my way back out, I pulled over on the side of the road as I thought I saw a waterfall. 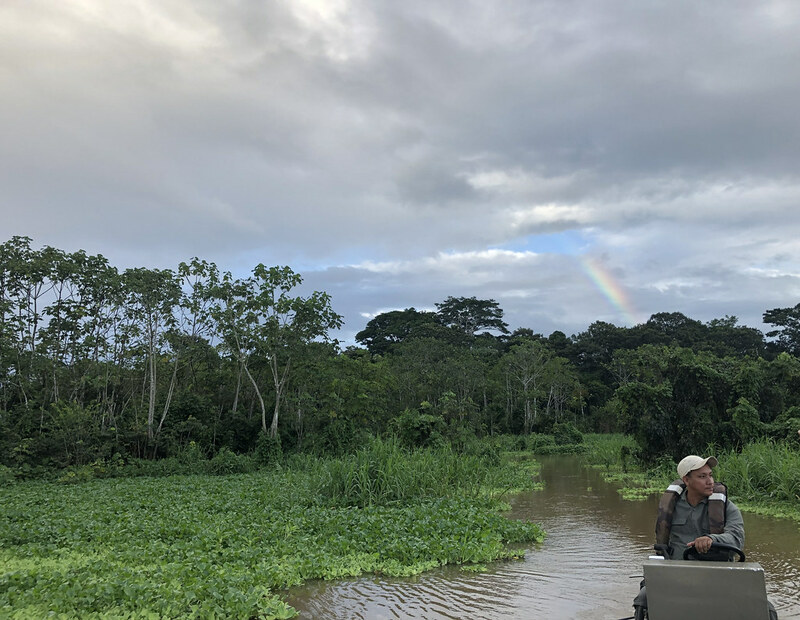 It turned out just to be a loud and lush river, on private property, but things like this are everywhere on the islands. Always an adventure! 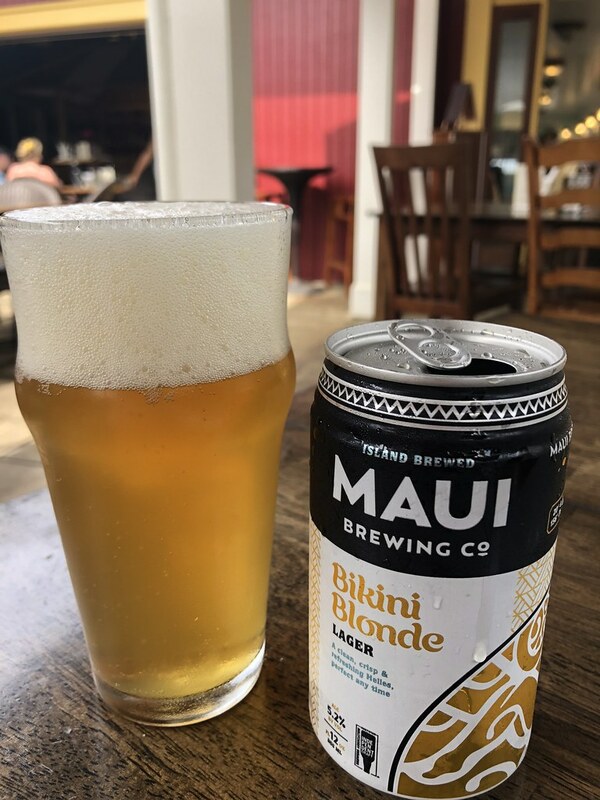 My uncle had lived in the sweet little town of Hawi, so I headed there for a bite. It was past lunchtime and not quite dinner so my options were limited but some folks pointed me to The Hub where I had some good bar snacks and a cold beer. This community organized non-profit supports the local community with events, classes, workshops, etc. A great find! Hawi is a very small town, just a main drag of shops really, and I wandered around for a bit after lunch, doing some window shopping. It felt really nice to be back there. 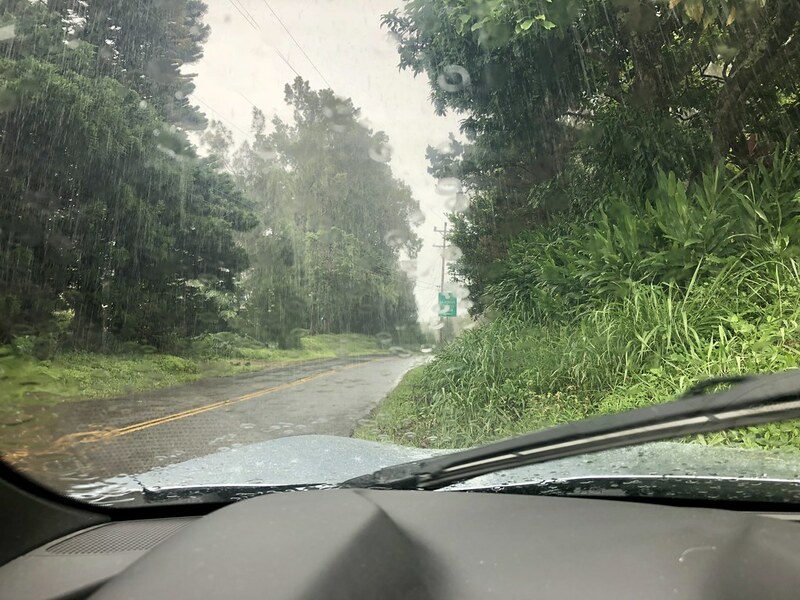 As I am a sucker for (my own personal) unchartered territory, I decided to drive the Akoni Pule Highway home, which follows the northwest coast south to the Kohola area. 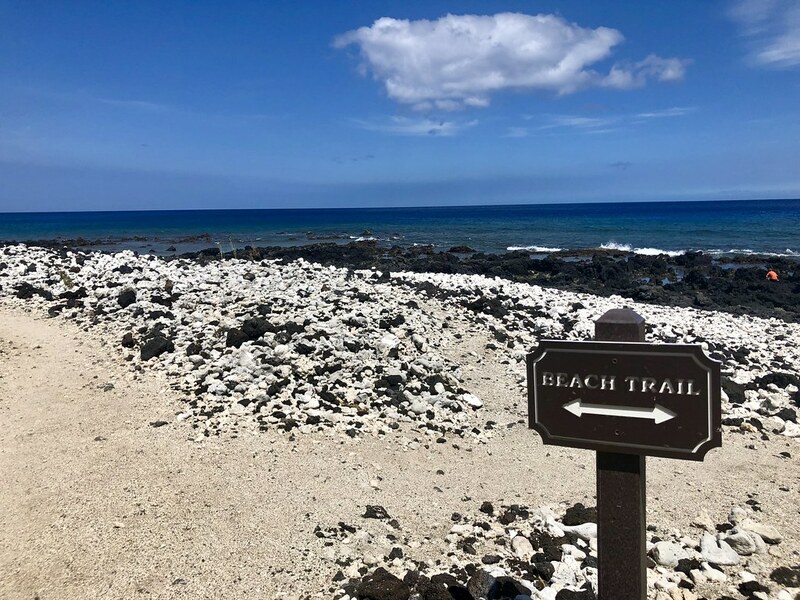 This area is in the rain shadow of Kohala volcano so it is dry and arid, quite a difference from the lush area I had spend the afternoon in. It's also the road that my uncle died on. 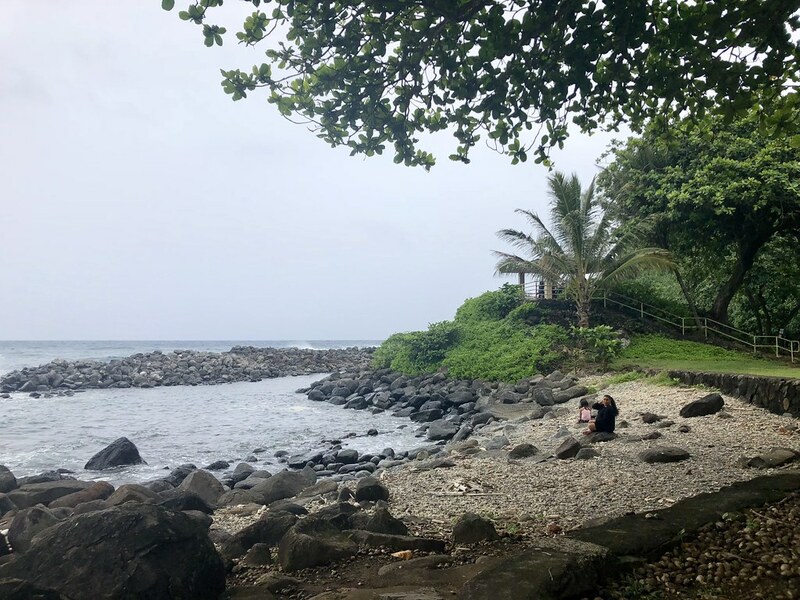 I was bummed to not get to see the active volcano, but super happy with my day remembering my uncle and reacquainting myself with the area he lived in. It was an great day driving with the top down and taking in all the beautiful sites, even if some were bittersweet. 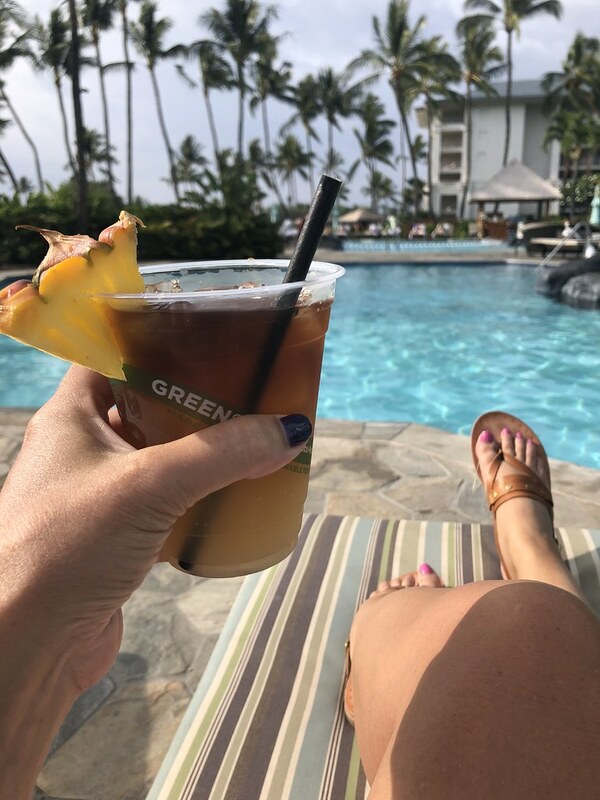 And I made it back to the Fairmont in time for Mai Tai Happy Hour by the pool! All photos of The Big Island here.